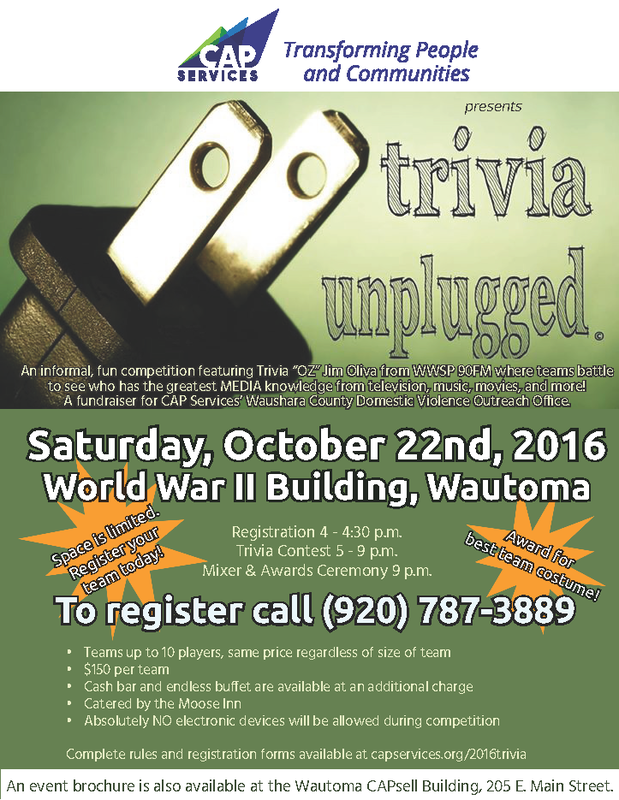 Wautoma Trivia Unplugged 2016 – CAP Services Inc.
A fun twist on a popular central Wisconsin trivia contest will be held in Wautoma Saturday Oct. 22, 2016, to raise funds for CAP Services’ Domestic Abuse Outreach efforts in Waushara County. All proceed from the event went to CAP Services Domestic Abuse Outreach Office in Waushara County. Funds will help support CAP’s domestic abuse intervention services including domestic violence intervention, support groups, and community response.